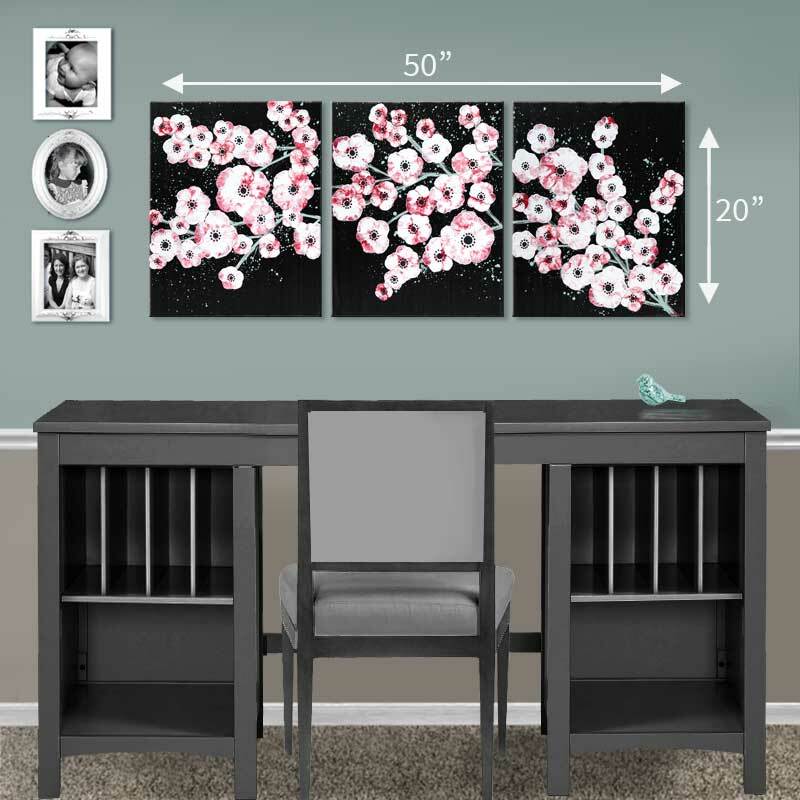 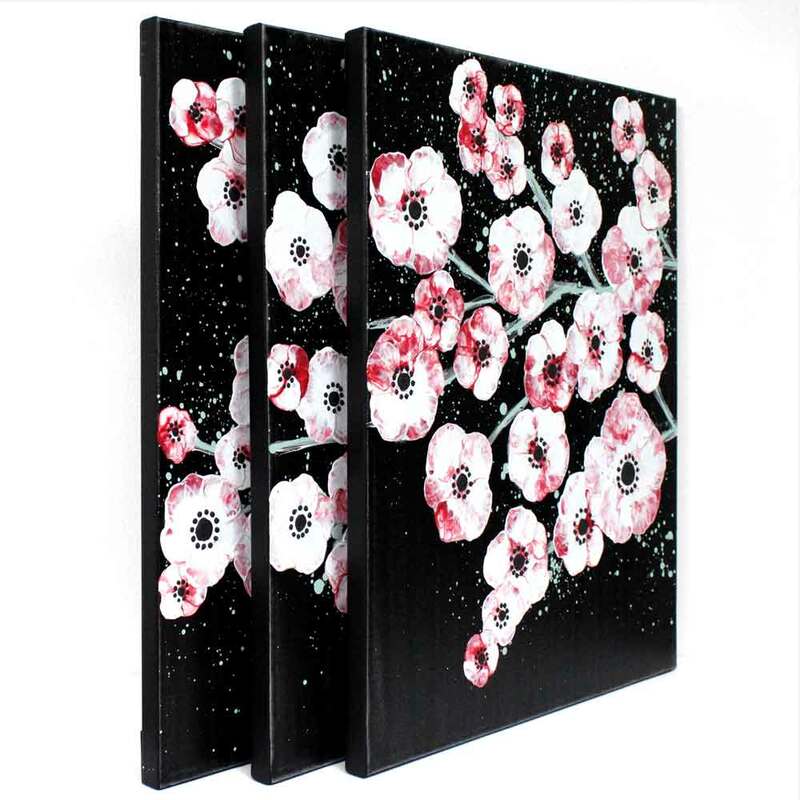 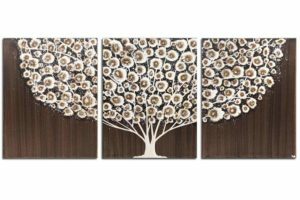 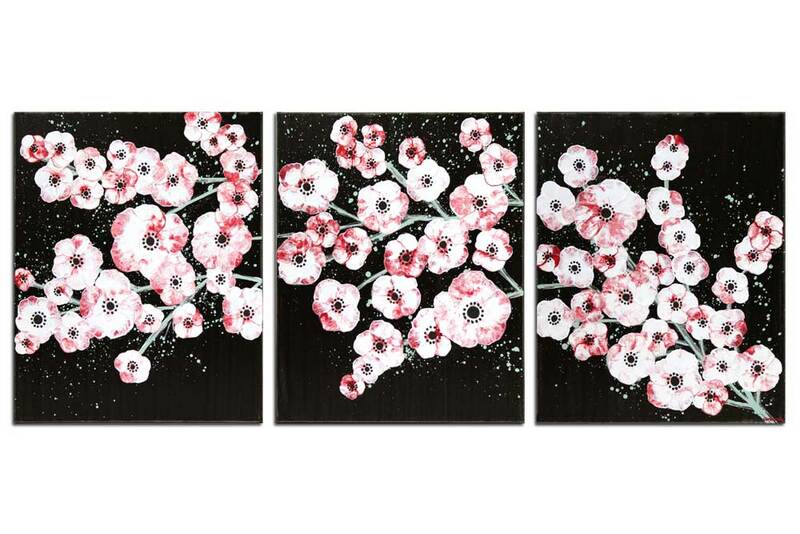 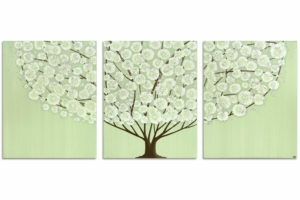 The cherry blossoms in this wall art are hand-painted on three canvases that hang as a large triptych. 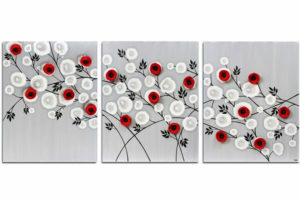 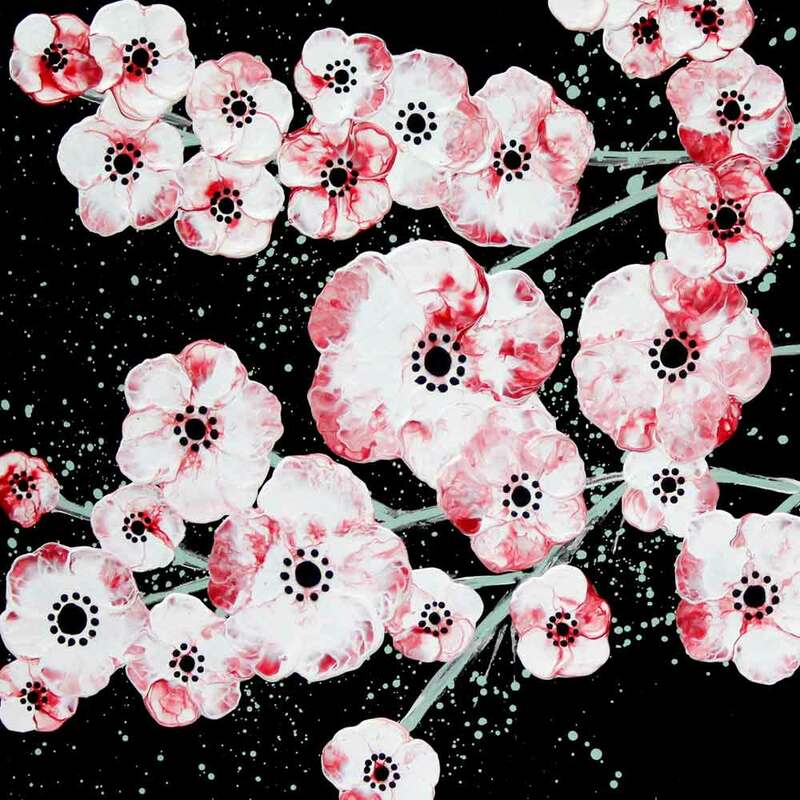 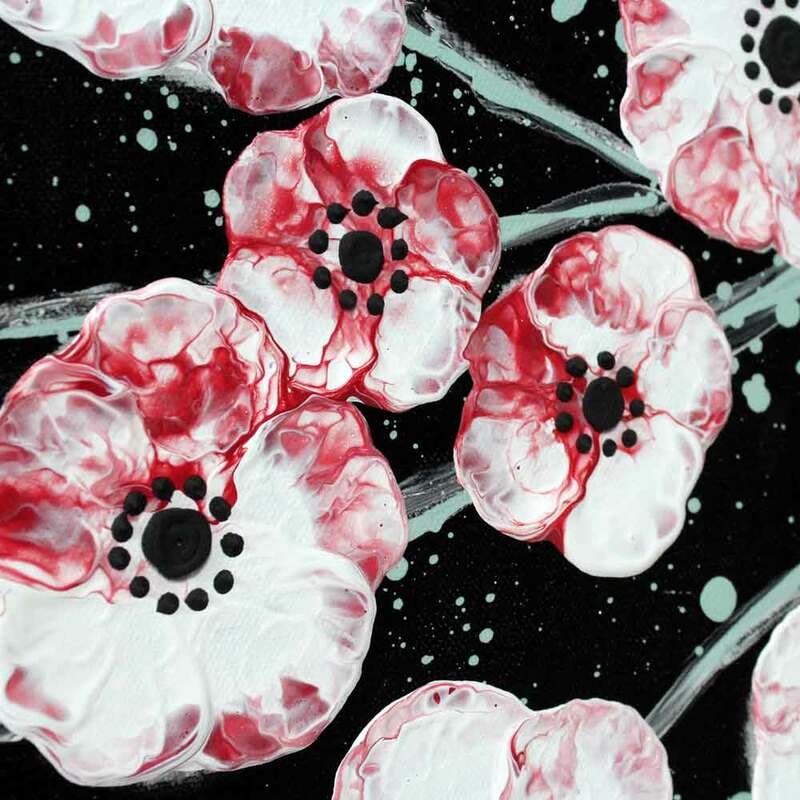 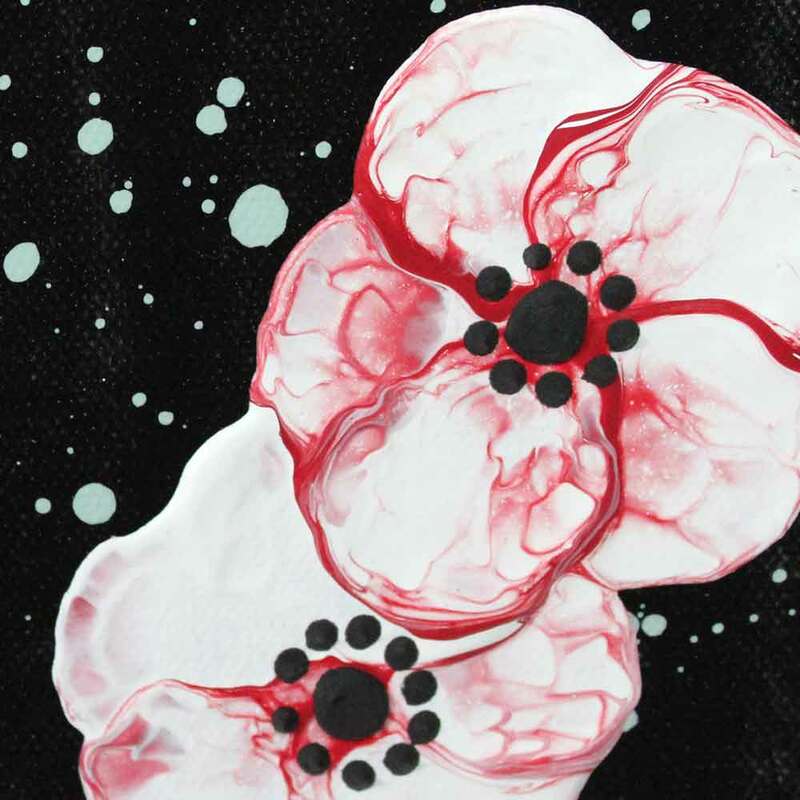 The flowers are textured in cherry red, black, and white. 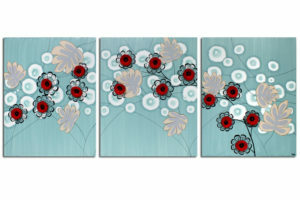 Accents of sea glass teal are on branches and speckled in background.